The long wait is over. Today we’re making Italian Mozzarella! Yes, you’ve read that correctly. It took literally gallons of curdled milk to get us here and today I’ll show you how to make Italian Mozzarella. Prior to this, I’ve demonstrated how to make ricotta, goat cheese, cream cheese, mascarpone, feta, and American mozzarella. Hopefully, you’ve heeded my warnings and made one of these other, simpler cheeses, for this mozzarella is the trickiest cheese of them all to prepare. In fact, my success rate with ricotta is 100%; with American mozzarella the rate is about 75 – 80%; while I’m only successful making Italian mozzarella about a third of the time. So why bother? Well, Italian mozzarella is superior to the American, having a more delicate flavor and creamier consistency. It’s no Burrata but it is nonetheless a very good cheese. It’s up to you to decide whether it is worth the effort. NOTE: Because so much of this process is the same as that for American mozzarella, some of the following has been used in both posts. No sense re-inventing the Parmesan wheel. As is the case with every cheese, before we get started, there are a few things to be discussed. 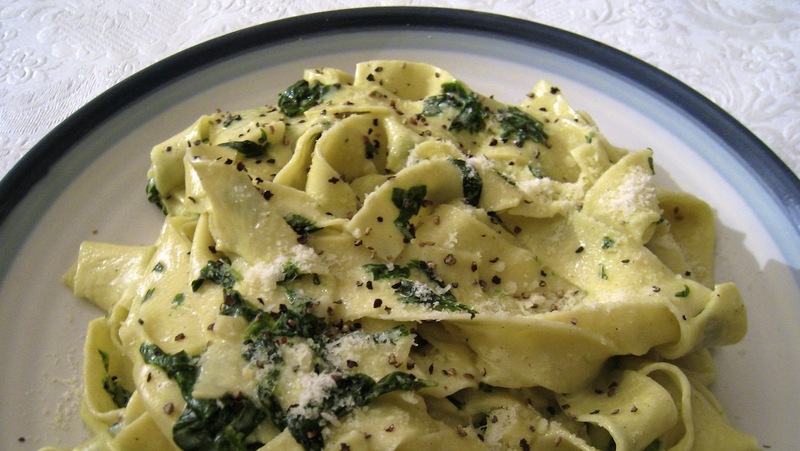 First of all, mozzarella belongs to the pasta filata, “spun paste”, family of Italian cheese. 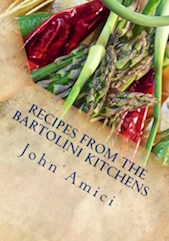 Primarily made from buffalo or cow’s milk, provolone, scamorza, and caciocavallo are also members of this group. The curds of these cheeses are heated in water and spun before being pulled and stretched to make the cheese. If they aren’t spun or pulled properly, the cheese’s texture will not be right nor will the cheeses have that characteristic stretchy quality when melted. Next, we need to look at the milk. Just like with its American cousin, when making Italian mozzarella you may not use calcium chloride (CaCl) to compensate for the effects of ultra-pasteurization upon milk. As a result, you must use raw or pasteurized milk. When choosing pasteurized, select a whole milk from a local dairy to reduce the chances of it being pasteurized at too high a temperature. 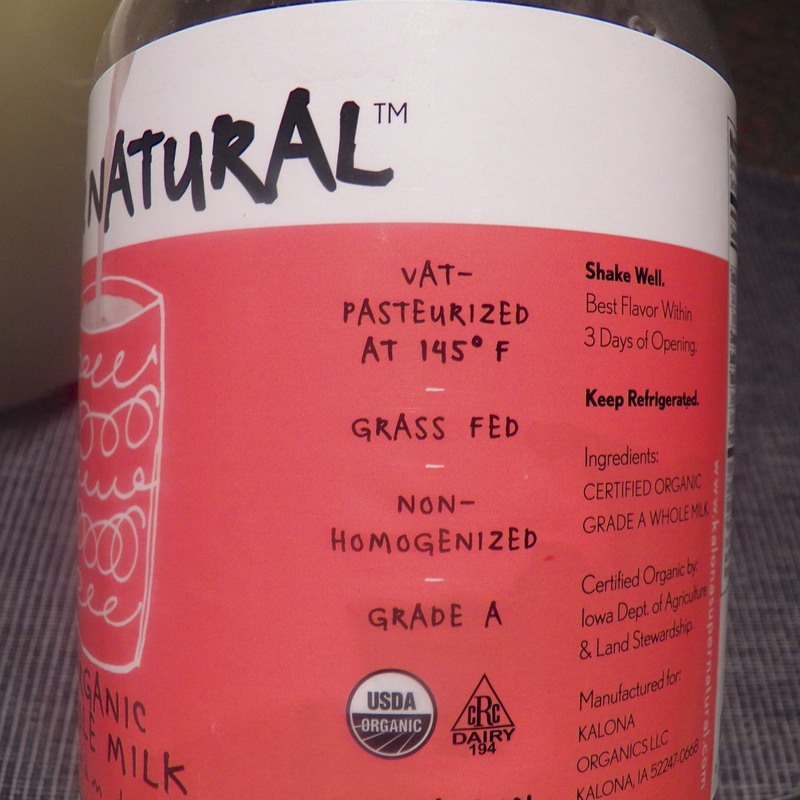 Some brands will have the pasteurization temperature posted on the container’s label. Available at Whole Foods and health food stores, I use that milk because the pasteurization temperature is low compared to most and I know exactly what I am buying. Most importantly, the curds must reach a certain level of acidity before mozzarella can be made — and herein lies the difference between American and Italian mozzarella. When we made American mozzarella, we used citric acid to create the acidity required. It enabled us to make mozzarella relatively quickly. There is no such ingredient for Italian mozzarella. These curds will acidify on their own if left undisturbed for about 10 hours or overnight. You can increase your odds of success by using pH test strips to insure that the correct acidity (5.2) has been achieved. (See Notes for more information about these strips.) 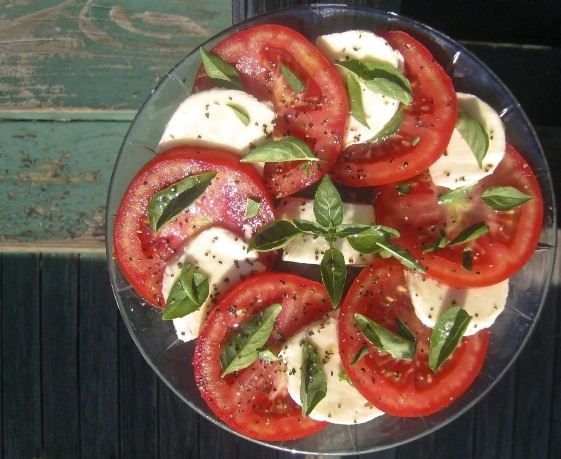 Italian mozzarella’s superior flavor and texture are due to the fact that no additives are used to acidify its curds. There are no shortcuts when making this cheese. You’ll see “Lipase” included among the list of ingredients. Lipase is an enzyme that is used to enhance the flavor of mozzarella, Asiago, provolone, feta and blue cheeses. 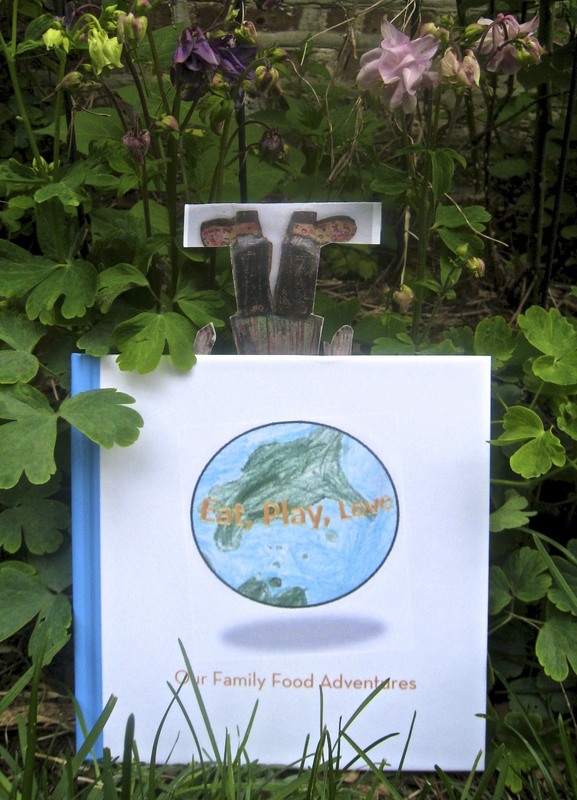 It can be purchased from the cheese making sites listed on my Cheesy Stuff page. It is not a necessary ingredient, however, so don’t worry if you cannot find or purchase it. If you do use it, however, you’ll need to add more rennet, as indicated in the recipe below. Sorry about the quality of the photos to follow but this wasn’t an easy process to photograph while working alone and wearing gloves. If you have asbestos fingers, you may not need to wear gloves but I’ve found that they offer some protection from the heated curds. I’ve heard that it is customary for women in Italy to keep a bowl of ice water nearby. They dip their hands in it when the heat becomes too much to bear while they’re stretching the mozzarella. It’s not such a bad idea, even when wearing gloves. 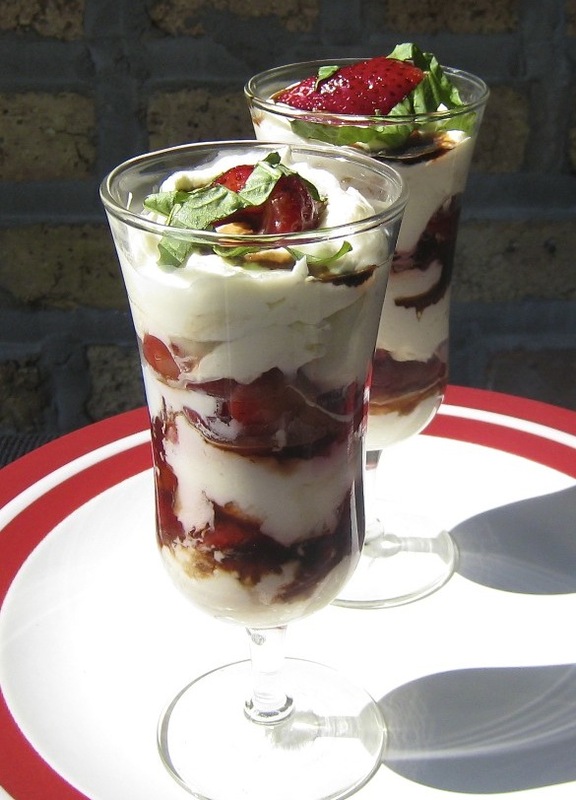 In a small container, combine the yogurt, buttermilk, and a couple tbsp of milk. Stir until thoroughly mixed and set aside. Place the rest of the milk in a sterile, non-reactive pot with a lid. If using, add the dissolved Lipase and stir well. 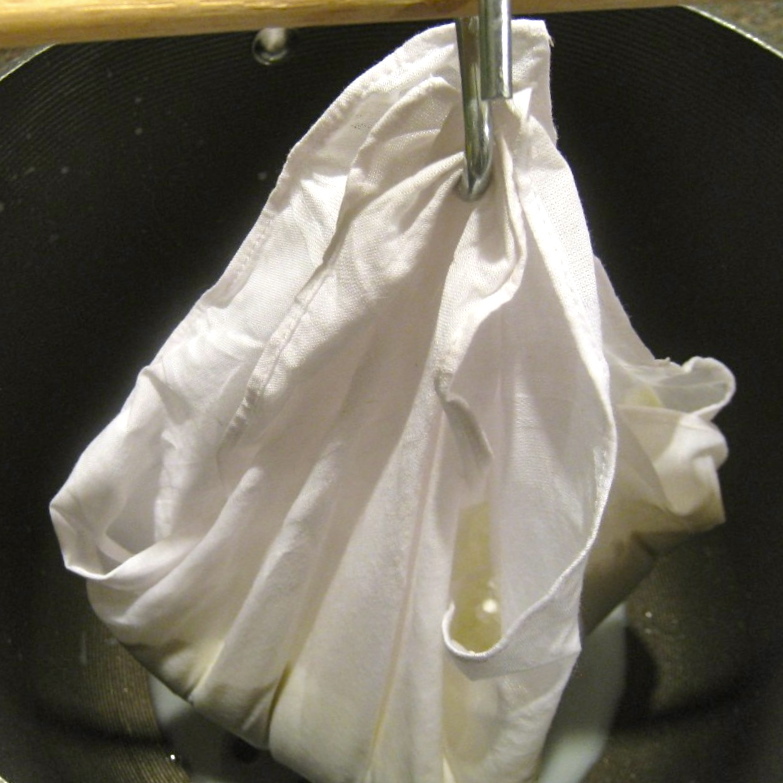 Gently heat the milk, uncovered, to 90˚F (32˚C), stirring occasionally to prevent scalding on the pan’s bottom. I’ll often fill my kitchen sink with hot water and use it, rather than my stove top, to gently heat the milk. Once the milk has reached 90˚, remove from heat and inoculate using the buttermilk/yogurt/milk mixture. Stir/whisk thoroughly. Place the pot in a warm spot (about 75˚F; 24˚C) where it will not be disturbed. Add the dissolved rennet, stir for 1 minute, and cover. Check for a clean break after 45 minutes. 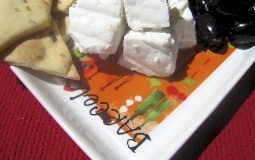 As was the case when we made feta and American mozzarella, you can not proceed until a clean break is achieved. Once achieved, go to step 7. 6. If a clean break is not achieved, wait 30 minutes and test again. Still bad? Wait another 30 minutes before testing again. Still bad? Wait a final 30 minutes. 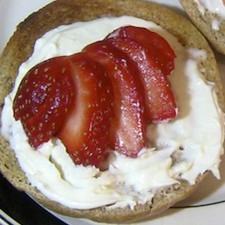 If a clean break still eludes you, there’s nothing to be done but dump the dairy and start over. Of course, you may wish to wait longer and try again but that is up to you. I would seriously consider changing milk brands before trying again. This is why I use half-gallon quantities of milk and not the 2 or 3 gallons some suggest. If I ever make enough to become proficient, I’ll use larger quantities of milk. 7. Use a long knife or offset spatula, and starting at one side of the pot, cut a straight line through the curd. Once the opposite side has been reached, create another slice about ½ in front of the previous cut. Repeat until the entire curd has been cut into horizontal slices. 8. Give the pot a quarter turn and, starting at one end of the pot, repeat the slicing process. 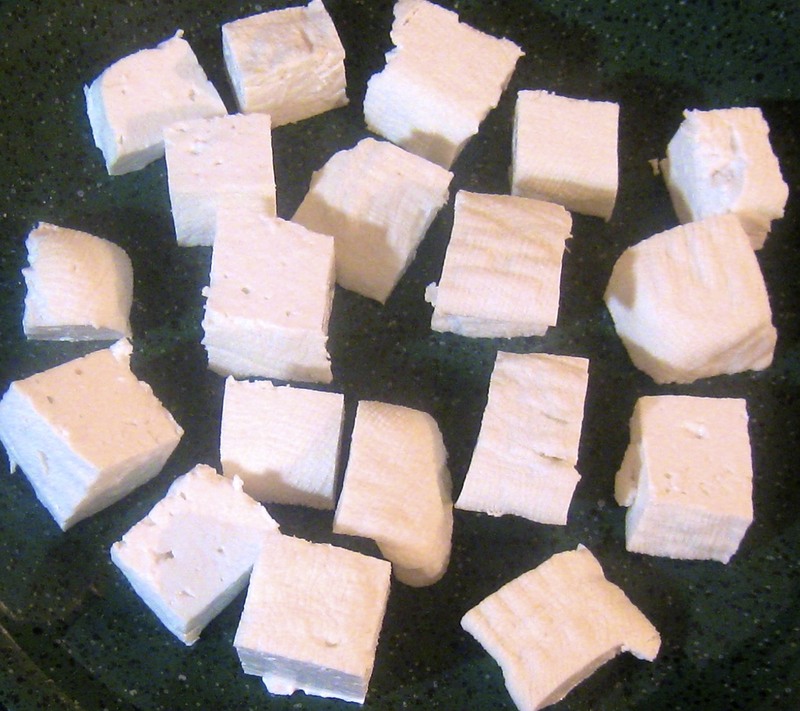 When finished, the curd should be cut into ½ inch squares. 9. Now take the knife or offset spatula and, with the blade on an angle, slice through the curds from side to side at ½ inch intervals. This will cut the curds beneath the surface. Repeat this step twice, turning the pot and cutting the curds on an angle each time. 10. Slowly re-warm the curds to 90˚F (32˚C), gently stirring the curds, and cutting any that are larger than 1/2 inch. Let sit for 15 minutes. 12. 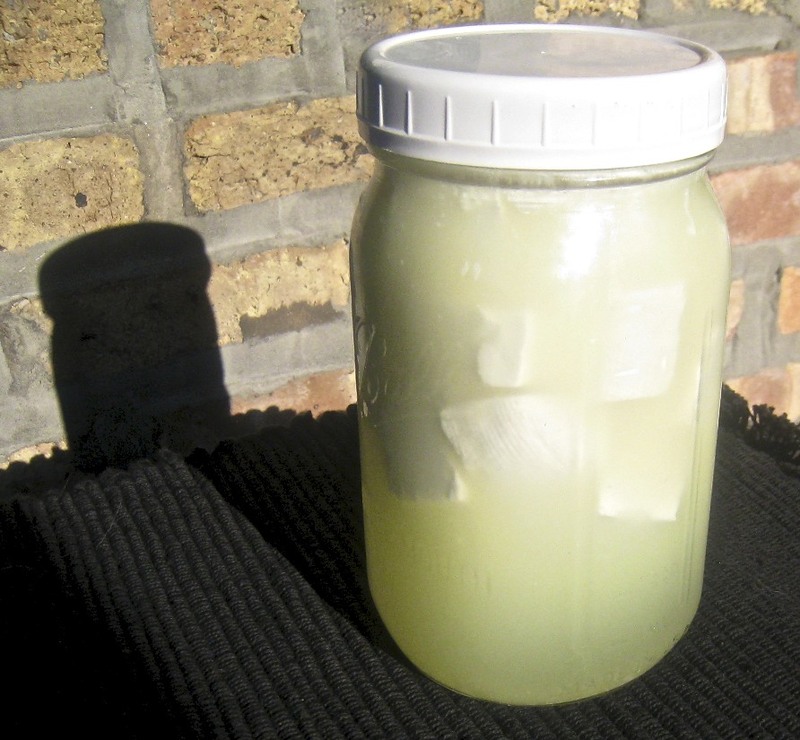 Place curds in a quart of cold water to rinse and then drain again. 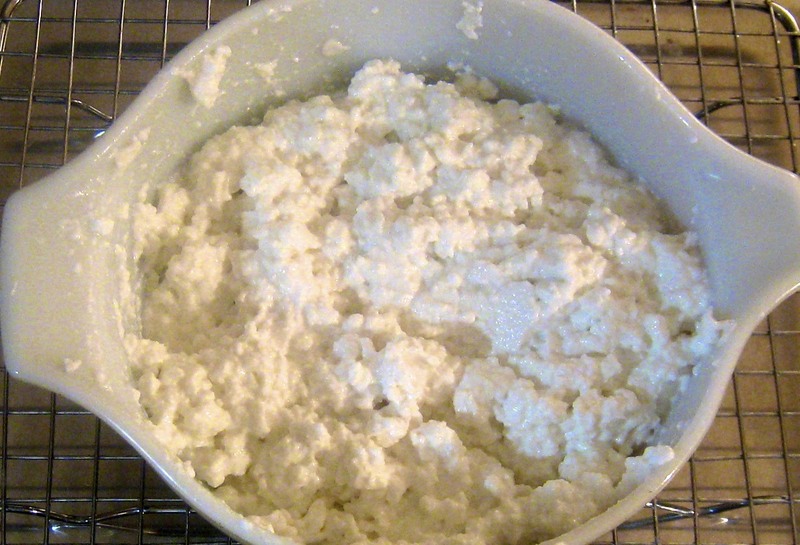 Place curds into a container, cover, and set aside, allowing the curds to reach the proper pH. 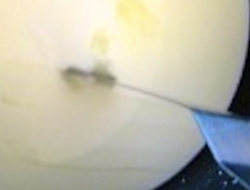 It is normal for whey to continue to separate during this resting period, as shown in the image. 13. If using pH test strips, begin testing the curds’ acidity levels after 8 hours. Once an acidity level of at least 5.2 is achieved, continue. If not using the test strips, better to wait 10 hours before proceeding. 14. Heat a large pot of water to 185˚F (85˚C). 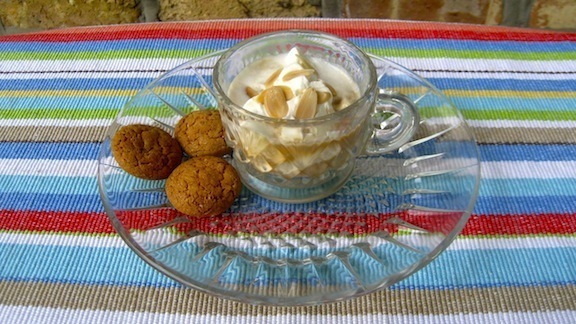 Once heated, use some of it to fill a small bowl and add to it a few pieces of curd, about the size of sugar cubes. 15. Gently stir the bowl’s contents and, after a few minutes, the cubes will begin to show trails or filaments, spinning, as they clump together. 16. Use a slotted spoon to remove. 17. See if the curds will stretch. If they do, without breaking, the curds are ready. To celebrate, I usually eat the test curds before continuing to Step 17. If they do not stretch, return the curds to the rest and set aside for another 2 hours before testing again. If they still do not stretch, set aside and test again. If still unsuccessful, it is up to you to decide how much longer and how many more times you’ll test the curds. It can be very frustrating. 18. After a successful test, the rest of the curds need to be processed. Use a thin meshed sieve to drain off the whey. Meanwhile, begin re-heating the pot of water. 19. 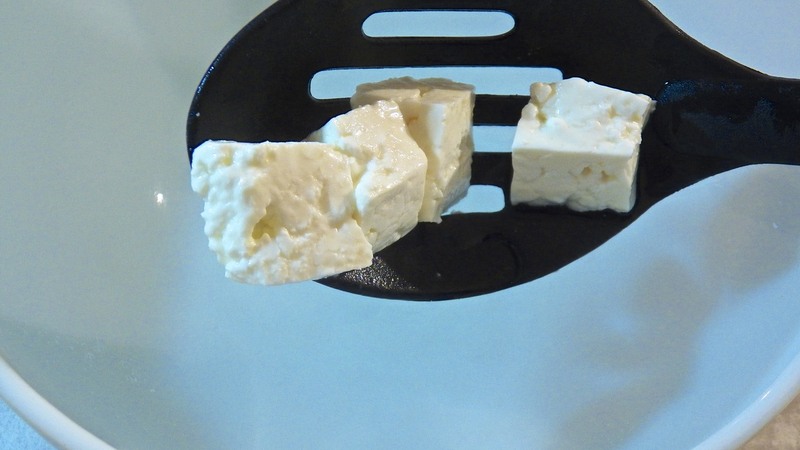 Place the now drained curds on a flat surface and slice into ½ inch cubes. Best to use a dish for this step, rather than a cutting board, since some whey may still be present. 14. 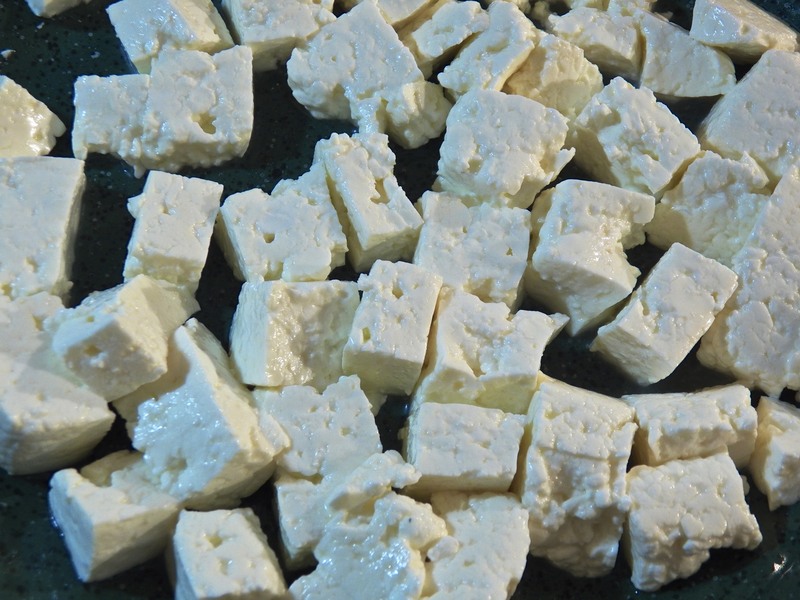 Separate the sliced curds into individual cubes. 20. This is where the real trouble starts. 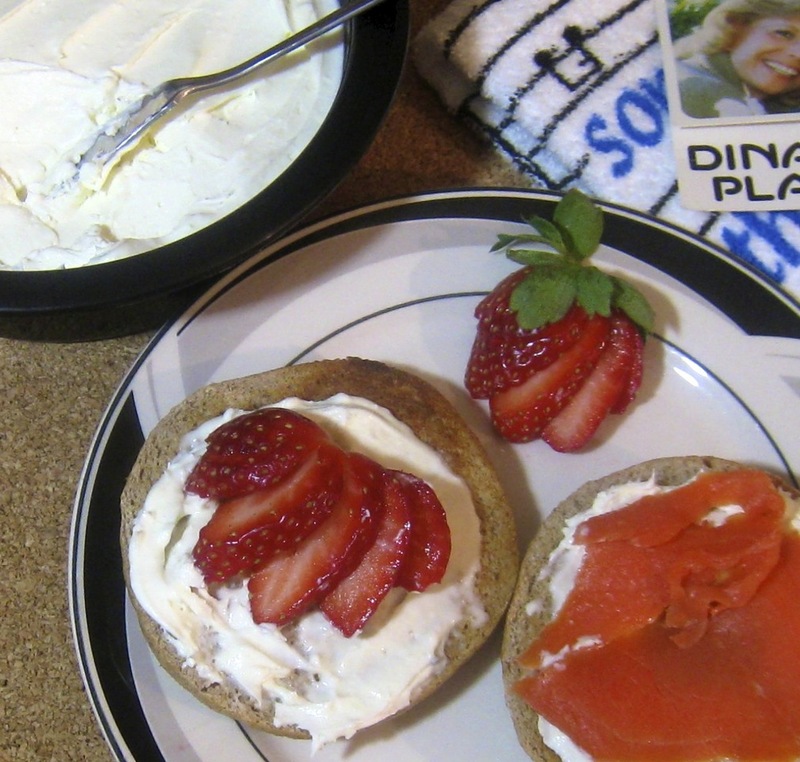 If you read the books, scanned the websites, watch the videos, they will place the curds in a large bowl, pour the heated water over the curds, stir, and, voilà! Mozzarella ready to be stretched and pulled. Not for me. I’ve found I have greater success if I use smaller amounts of curd, resulting in smaller mozzarella balls. No matter which way you choose to go, you’ll need to pour the heated water (185˚F; 85˚C) over the curds and stir until they begin to spin. Do not rush this step. It should take a few minutes. 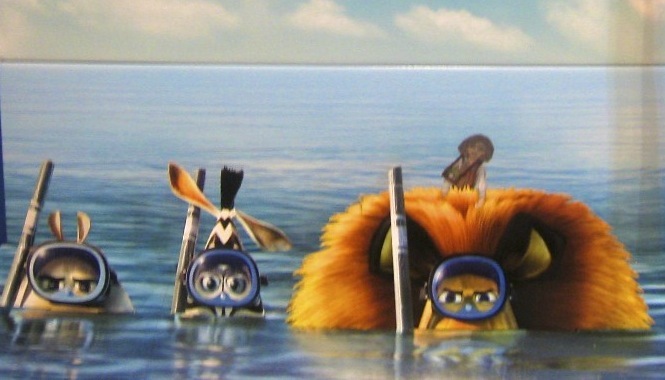 Do not let the water temp fall below 135˚F (57˚C) but it should not remain higher than 140˚F (60˚C). 21. (Yes, it’s the same photo as in 16 above.) 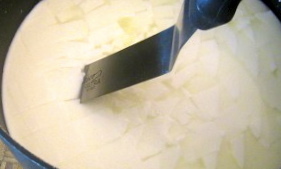 Once you see evidence of spinning, use a slotted spoon to remove the curds. 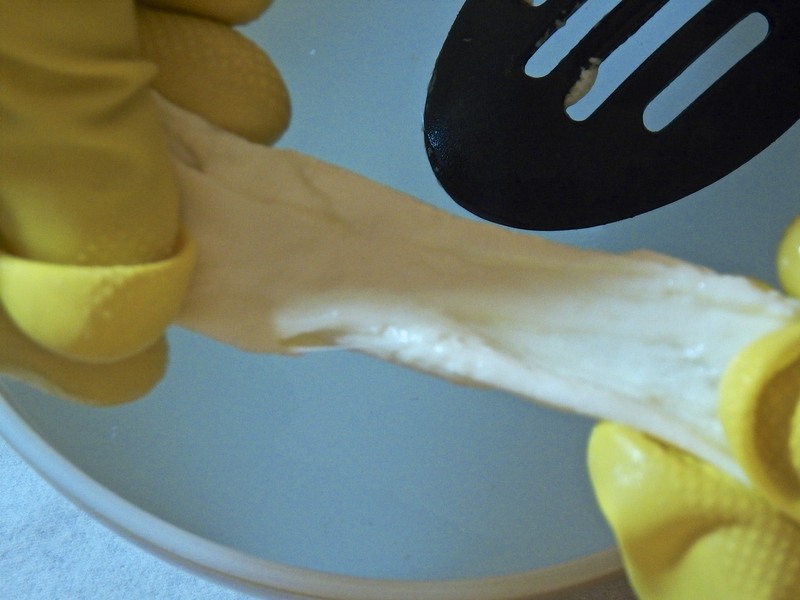 Begin to stretch the curds, fold on to themselves, and stretch again. Continue doing this a number of times, creating many layers, until the cheese is smooth and glossy. 22. Form into a ball like you would bread dough for a dinner roll. Place in salted water. Congratulations! 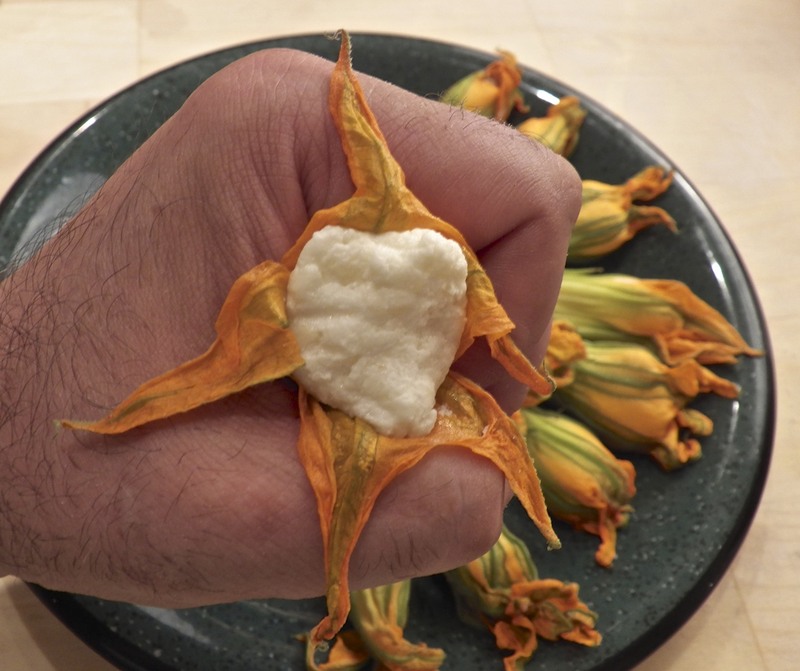 You’ve just made Italian mozzarella! As was mentioned, the key to making this mozzarella is the acidity of the curds. 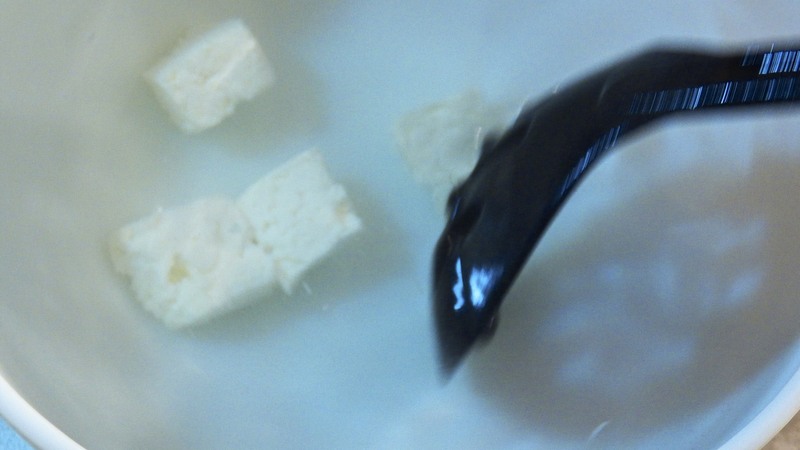 One day last Spring, I noticed pH test strips at a home brewery shop that I’d entered to purchase the calcium chloride (CaCl) needed to make feta cheese. Not all pH strips are created equal and each type is used to test specific levels of acidity/alkalinity. As luck would have it, these strips were used to test beer and were for the same range needed to test mozzarella curds. If you’re going to purchase pH strips, be sure that they are capable of testing substances with a pH of 5.2 otherwise they will be of no use whatsoever. See the image above (Step 13) for a sample of a correct pH scale and strip for testing curds. Remember that the lower the pH value, the more acidic the substance. 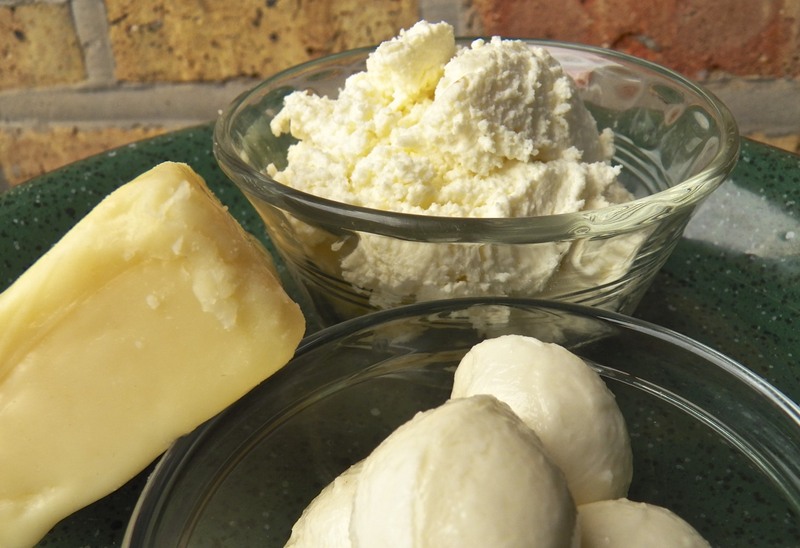 In Italy, only the whey from making mozzarella may be used to make ricotta. I’ve had varying levels of success trying to do so. Most recipes for making mozzarella call for at least 2 gallons of milk — sometimes 3 — to be used. When making American mozzarella, I use a gallon of milk and the resultant yield of ricotta is too little for me to use. Because of the high failure rate, I only use a half-gallon of milk when making Italian mozzarella. Once again, the ricotta yield is too far little to be of use. 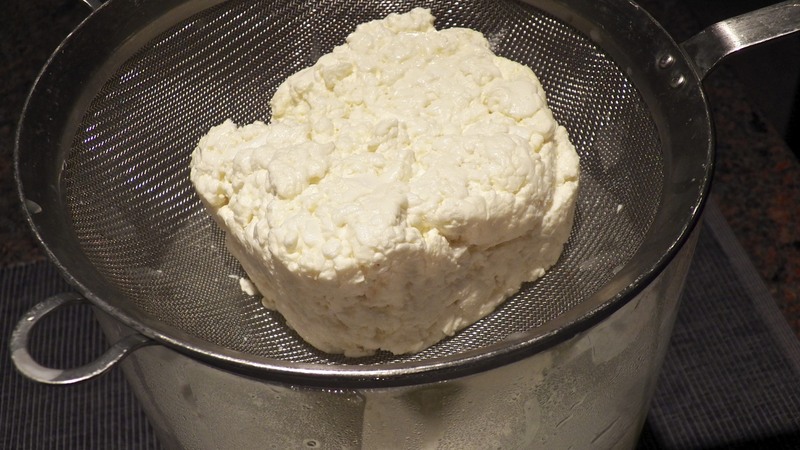 Now, you can add a quart of milk to Italian mozzarella’s whey to improve the yield but I’d rather use the milk to make ricotta like I’ve shown you HERE. I’ve never had a failure following that recipe and a half-gallon of milk gives me all the ricotta I need. Still, if you wish to try the more traditional approach, you can see how Dr. Fankhauser does it HERE or how our very own Miss Celi does it down on the farmy HERE. While you’re there, if you haven’t already, be sure to check out her blog. It is truly a delight to read and a great way to start your day. 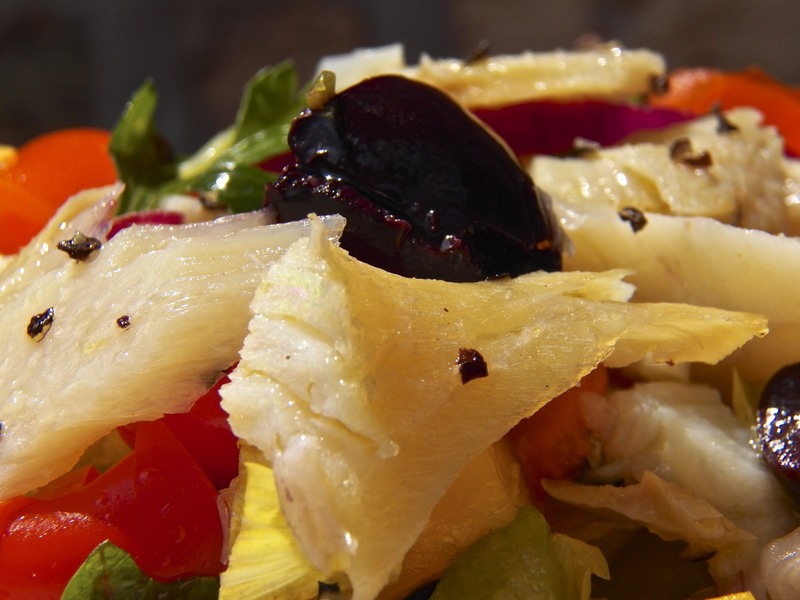 No matter which mozzarella you choose to make, the cheese is best when freshest. Even so, Italian mozzarella does stay fresh longer than its American cousin. Some suggest leaving the cheese in its salt water bath until needed or transferring it to fresh water after a few hours for storage in the refrigerator. Others suggest using the brine bath for an hour before patting the cheese dry and storing in a sealed plastic bag. I’ve even heard of some freezing it for later use, something not possible with American mozzarella. I prefer to leave my Italian mozzarella in the salted water until ready for use and that’s always within 24 hours. When I remove it, I might have to rinse it to remove a soft coating that’s developed. 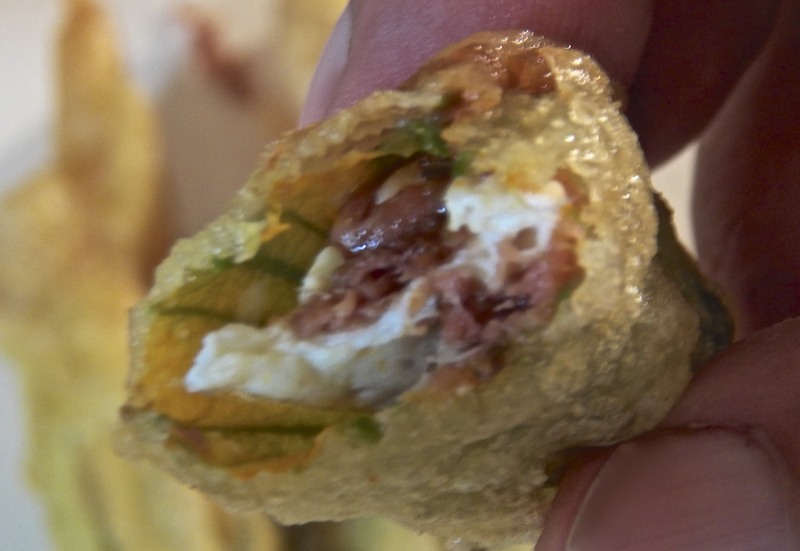 The cheese is still very good but that coating is rather unappealing. One of these days, I’m going to make a batch, divide the cheese into thirds, and store a third in brine, a third, in fresh water, and the last third in a plastic bag. I need to feel more secure in my Italian mozzarella cheese making abilities before donating a batch to science. And so ends our cheese making series. Now it’s your turn. Good luck! 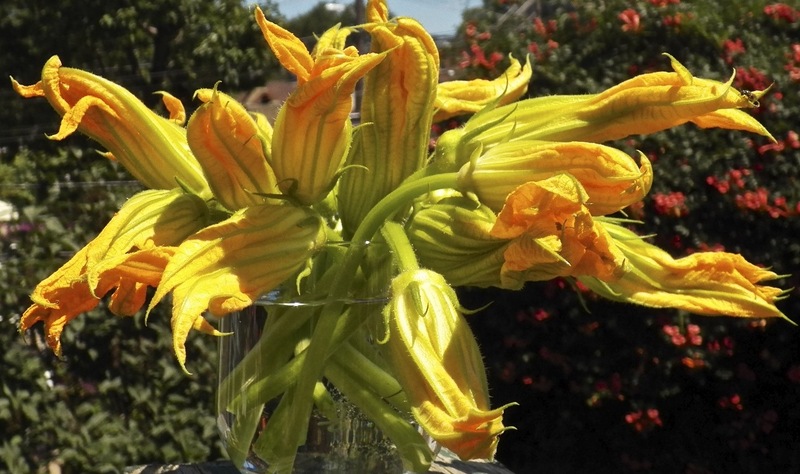 Yes, I realize for many of us in the Northern Hemisphere, Summer is in full swing, with temps soaring well into the 90’s and, incredibly for some, beyond. I, also, know that for many, firing up the oven isn’t necessarily something we’re prone to do when our homes are already sizzling. 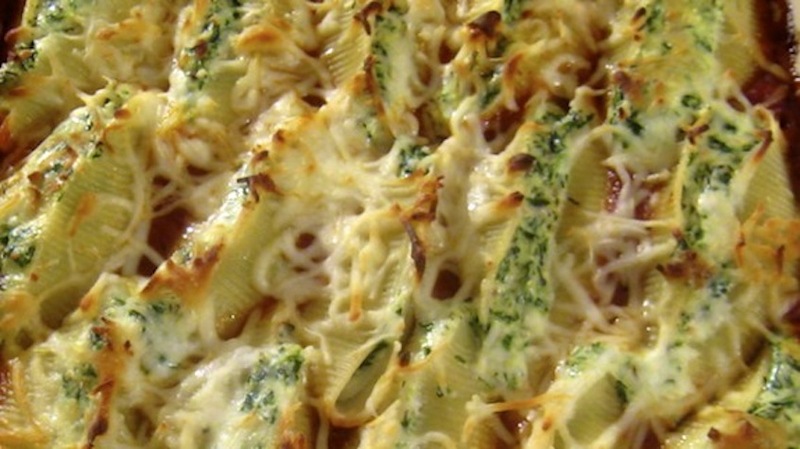 So, why am I featuring a baked pasta dish today? The answer is simple. Mozzarella. I had plenty of mozzarella in my fridge, left over from the first round of mozzarella making and I needed to do something with it. And lest there be any doubt, when I have a surplus of something, anything, my go-to dish is pasta of some sort. So, considering that mozzarella “performs” so well when baked, I decided to make an “al Forno” recipe. 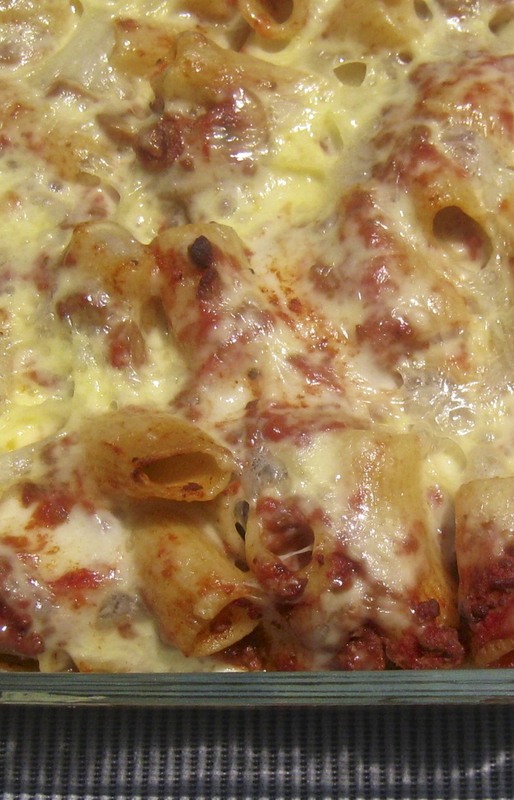 Growing up, rigatoni was a frequent “guest” at our dinner table, although we kids called them “flat tires.” I don’t recall Mom ever baking rigatoni, though. It wasn’t until I was on my own that I started experimenting with baking penne and rigatoni. Generally, these dishes are easy to assemble, with left-overs that keep well and are easily re-heated. Perfect for my one person household. So, when presented with a bounty of mozzarella, I chose flat tires to help me out. Normally, when I prepare a baked pasta, I coat the cooked pasta with sauce and cheese of some sort before topping it off with shredded mozzarella. With this dish, however, I reverse things a bit. 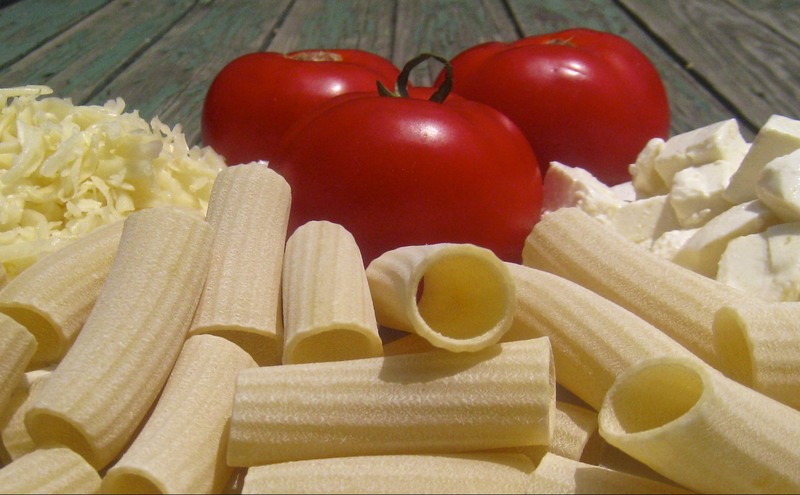 Butter and Pecorino Romano cheese are used to coat the partially cooked rigatoni but, as you’ll soon see, the mozzarella is chopped into cubes and stirred into the pasta. Once mixed, Asiago cheese is used to top off the dish before baking. 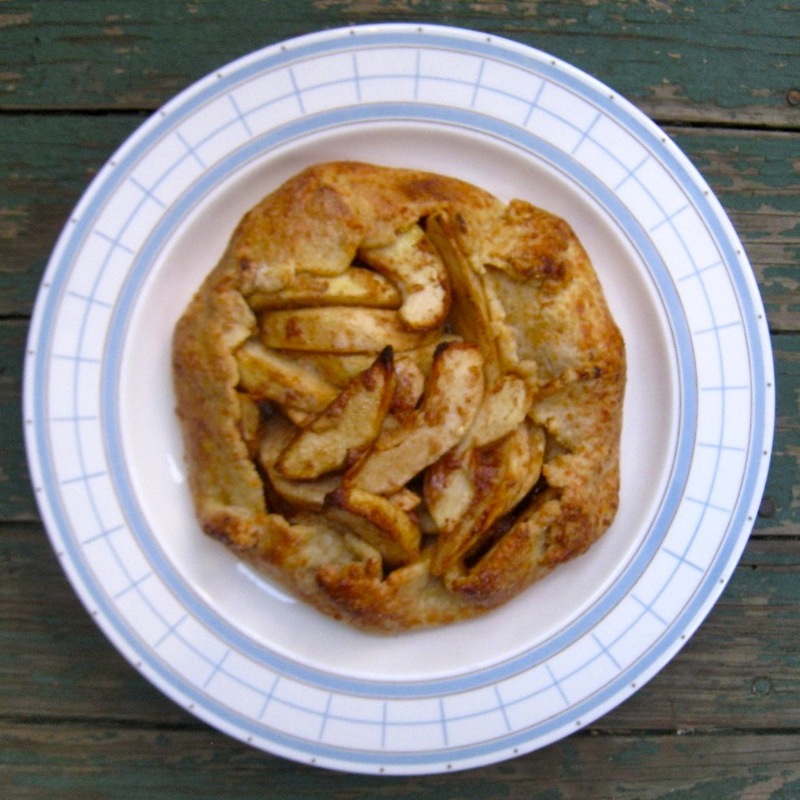 Doing so gives one both contrasting flavors and textures. The strong-tasting Asiago, melted until golden, hides not just the sharp Pecorino Romano but the gooey milder tasting mozzarella cubes spread throughout the pasta, as well. It’s a three cheese combination that I enjoy well enough that I don’t really mind turning on the oven in a heat wave. 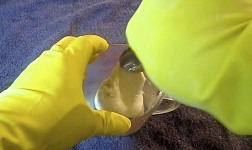 Lightly grease a 9 X 13″ baking dish with cooking spray or butter. Add rigatoni to a large pot of heavily salted, boiling water. Cook the pasta for half of the time suggested on the package for al dente pasta. Drain and hold until needed. Warm sauce and maintain a low simmer. 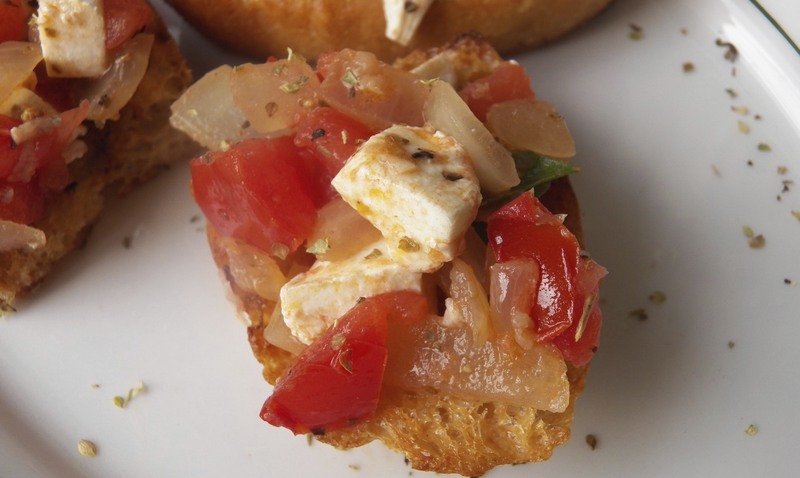 Slice and cut the mozzarella cheese into ½ inch cubes. Set aside. Use a box grater to shred the Asiago cheese. Set aside. Once the pasta has been semi-cooked and drained, return the rigatoni to the now empty pot. Add the butter and then the Pecorino Romano to the hot rigatoni, stirring after each until the pasta is well-coated. Add the tomato sauce to the pot and stir. Add the mozzarella to the pot and gently stir until evenly distributed. 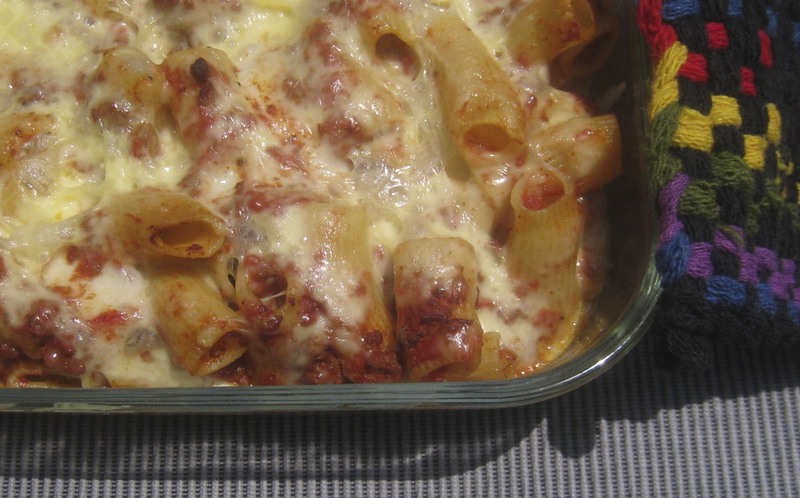 Place the pasta in a greased 9 x 13″ baking dish. Evenly sprinkle the shredded Asiago cheese on top. 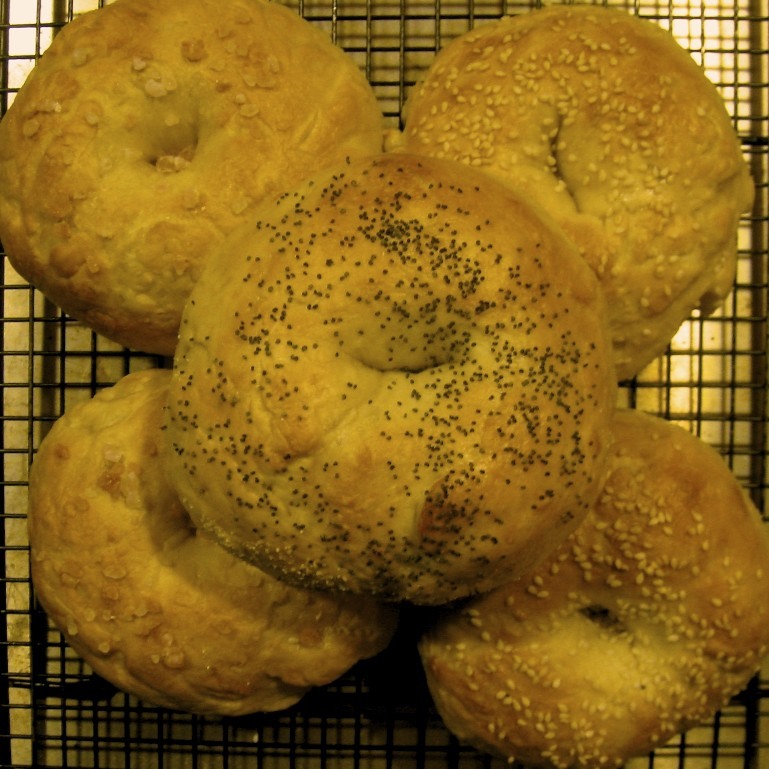 Bake in pre-heated 350˚F oven for 20 to 25 minutes or until the Asiago cheese is melted to your liking. 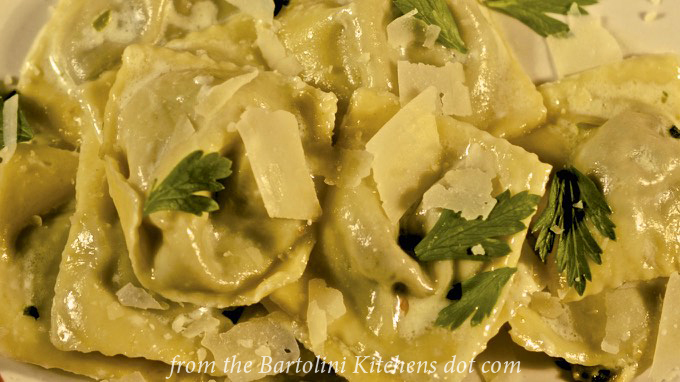 Allow to rest 5 minutes before serving, garnished with parsley, if desired. For whatever reason, some may find Asiago cheese unappealing. 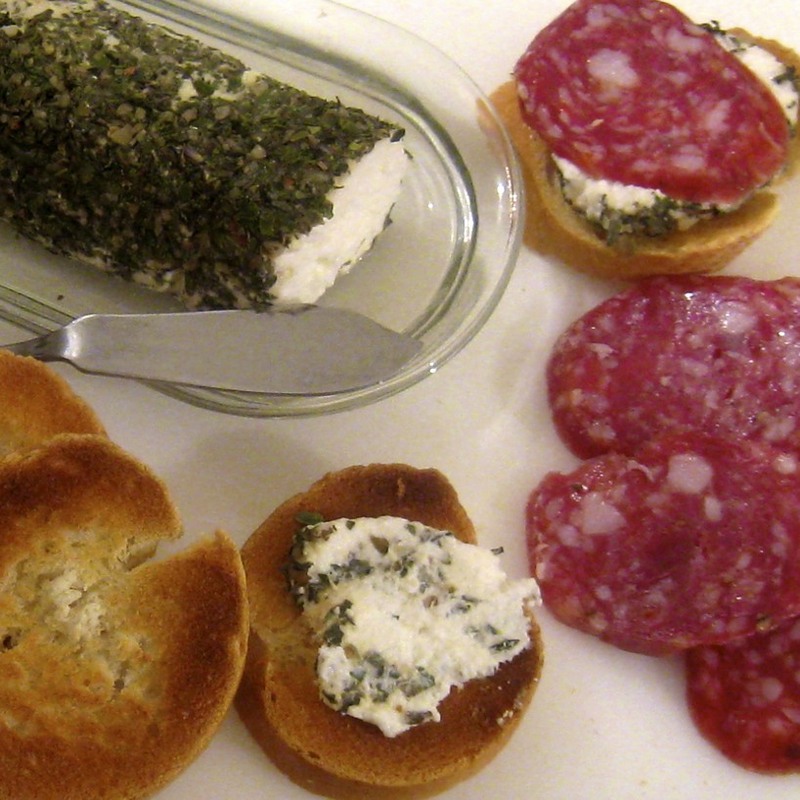 If that’s true for you, there are other cheeses that can be used to top off your dish. 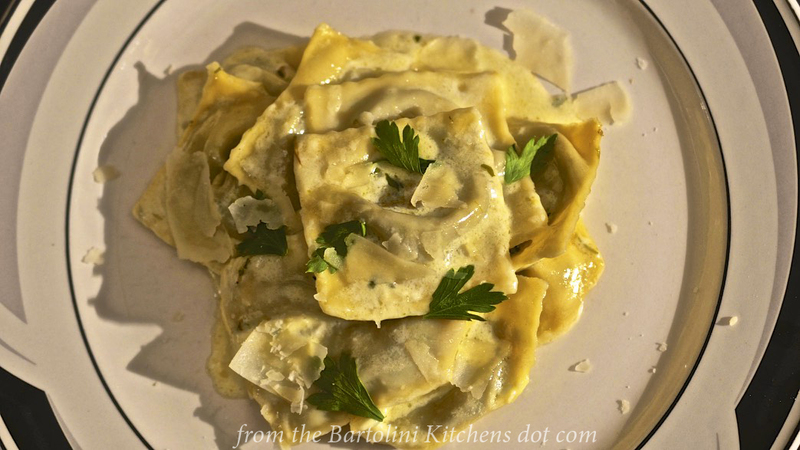 Fontina is a good alternative, as is ricotta salata. The choice is really yours, just try to find a cheese that offers a contrasting flavor to the mozzarella. You won’t be disappointed. 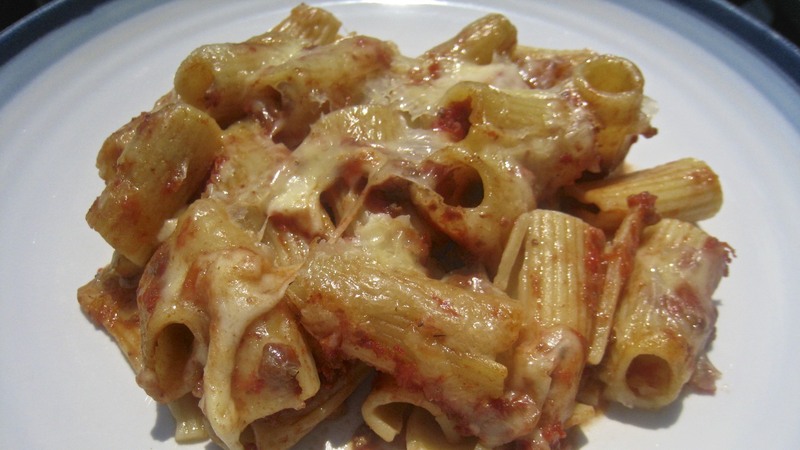 Although I used rigatoni for this dish, you can certainly use any of the tube-shaped pastas. Just avoid the ribbon-like pastas. They are not well suited to baked dishes of this type. Hey, Bella! I’ve got Mozzarella! All right, mozzarella fans. This is it. 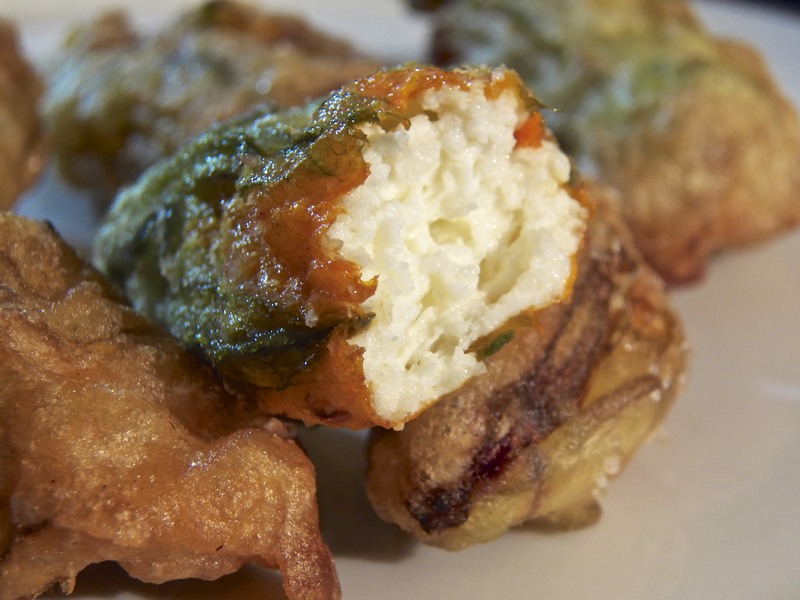 You’ve waited patiently while I demonstrated how to make ricotta, goat cheese, cream cheese, mascarpone, and feta. Now it’s your turn. Today I’ll show you how to make mozzarella. Hopefully, you’ve tried to make at least one of the earlier cheeses so that you’ve some idea about creating & handling curds, clean breaks, sterilizing equipment, etc., because you’re going to need all of this experience — plus another trick or two — to make today’s cheese. I have to say, though, having a taste of freshly made mozzarella when still warm makes it all worthwhile. 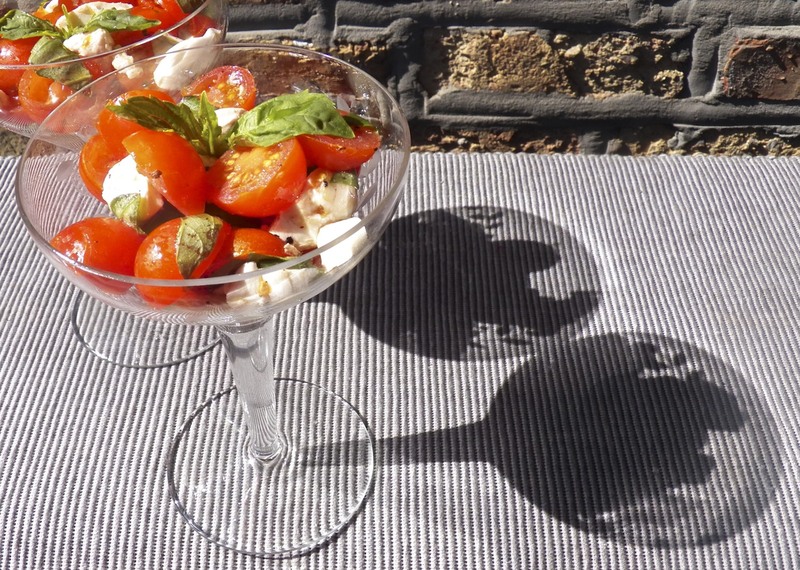 And, if that’s not enough, imagine making an Insalata Caprese of freshly made mozzarella with sliced tomatoes & basil, both picked moments before from your garden. Cambierà la vostra vita! Now, before we get into the nuts and bolts of making mozzarella, there are a few things that need mention. 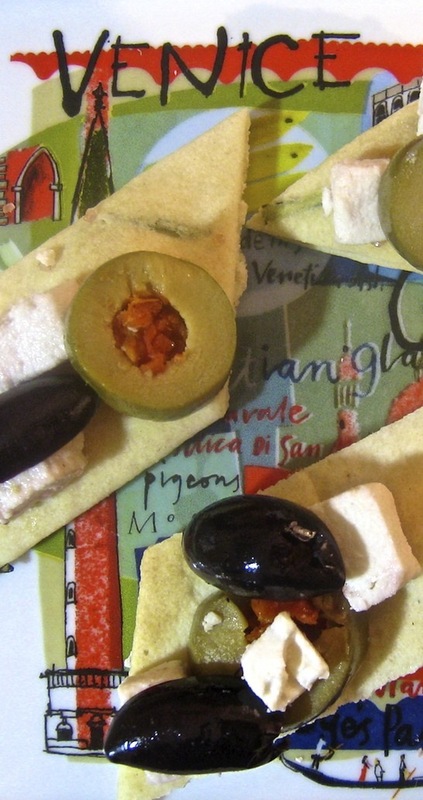 First of all, mozzarella belongs to the pasta filata, “spun paste”, family of Italian cheese. 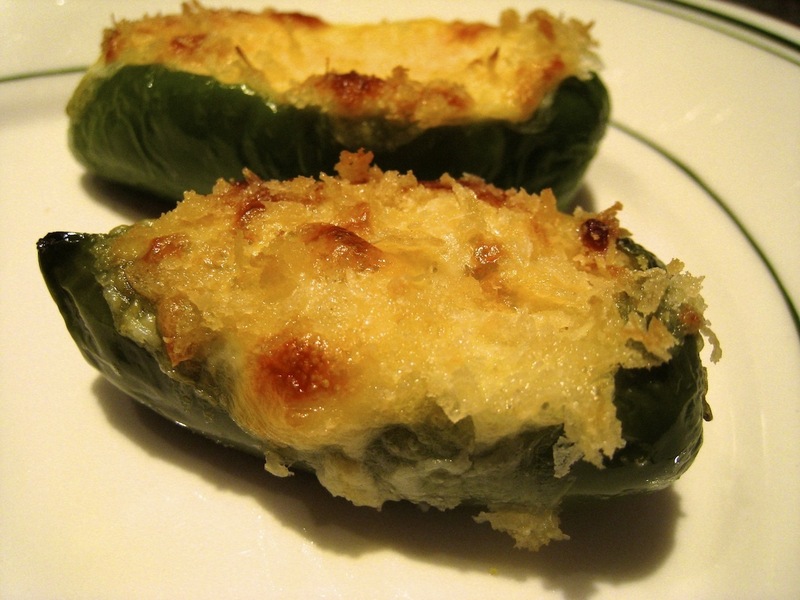 Primarily made from buffalo or cow’s milk, provolone, scamorza, and caciocavallo are also members of this group. The curds of these cheeses are heated in water and spun before being pulled and stretched to make the cheese. If they aren’t spun or pulled properly, the cheese’s texture will not be right nor will the cheeses have that characteristic stretchy quality when melted. Next, you may recall that in the feta post, I wrote that calcium chloride (CaCl) could be used to compensate for overly pasteurized dairy product and would result in firmer curds. While that is true and CaCl is used widely in cheese making, it can not be used when making any of the pasta filata cheeses. Using CaCl will toughen the curds, making that stretch impossible and ruining the texture of the finished cheese. So, with no agent to counteract the effects of over or ultra-pasteurization, you must use raw or pasteurized milk. When choosing pasteurized, select a whole milk from a local dairy to minimize the chances of it being over pasteurized. Some milk will have the pasteurization temperature posted on the container’s label. I use that milk, when I can find it, because the pasteurization temperature is low compared to most. Try as I might, I’ve been unable to make mozzarella from ultra-pasteurized milk. Another thing about mozzarella is that it requires a level of acidity in order to form the curds — and this is where the processes diverge when making American versus Italian Mozzarella. Today we’re making American Mozzarella and we’ll add granulated citric acid to create the acidity required. 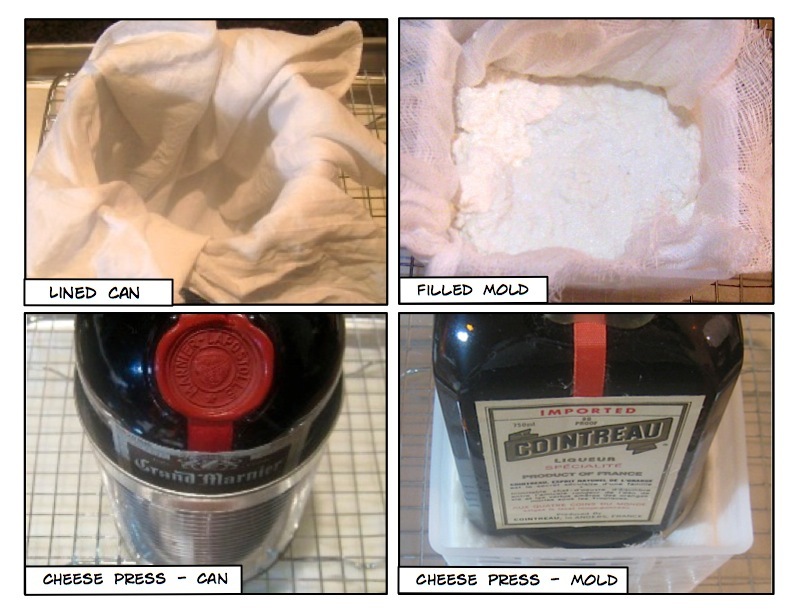 (When we make Italian Mozzarella, we’ll let the curds sit overnight to develop the necessary acidity.) Citric acid is commonly used when making wine at home, in canning, and in a multitude of food manufacturing processes. It is quite inexpensive and can be purchased anywhere home brewing or wine making supplies are sold, at some pharmacies, on Amazon, or through the sites listed on my Cheesy Stuff page. You will not be able to make American Mozzarella without it nor can you substitute fresh citrus juice for it. You’ll see “Lipase” included among the list of ingredients. 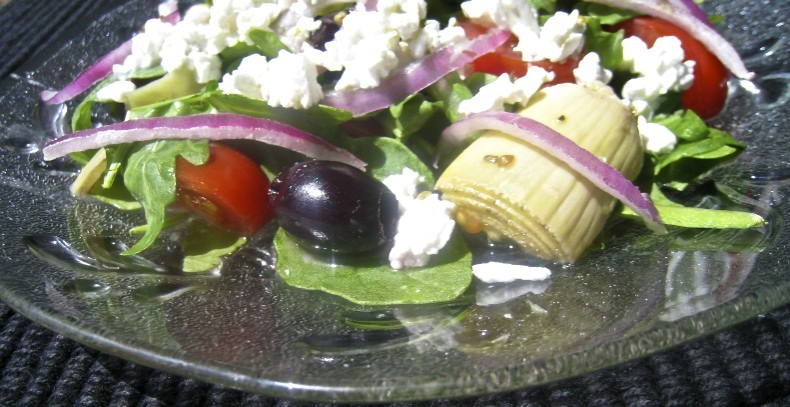 Lipase is an enzyme that is used to enhance the flavor of mozzarella, Asiago, provolone, feta and blue cheeses. 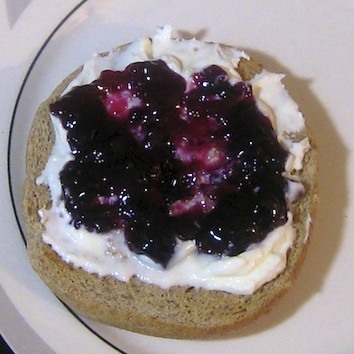 It can be purchased from the cheese making sites listed on my Cheesy Stuff page. It is not a necessary ingredient, however, so don’t worry if you cannot find or purchase it. If you do use it, however, add another ¼ tablet of rennet for each gallon of milk. 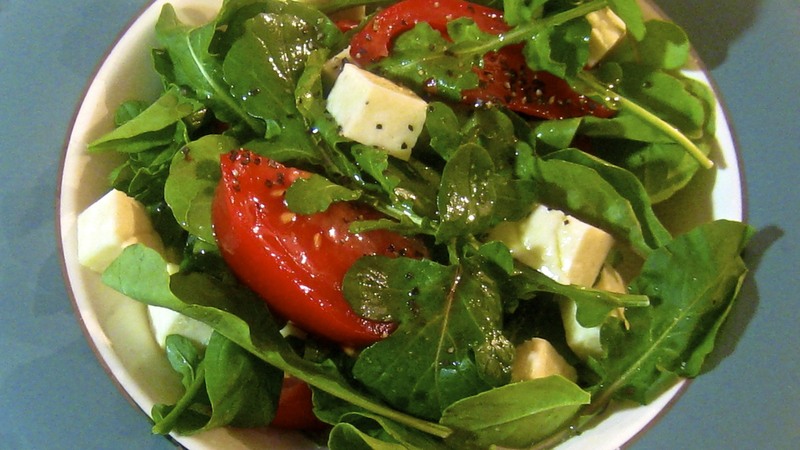 Simple salad of rocket, tomato, and mozzarella with red wine vinegar and olive oil. Sorry about the quality of the photos to follow but this wasn’t an easy process to photograph while working alone. I, also, missed a photo or two but none so important that you’ll get lost. Lastly, you’ll notice that I use gloves when handling the curds. If you have asbestos fingers, you may not need to use them. I’ve found that they do offer some protection from the heated curds while they’re being stretched. 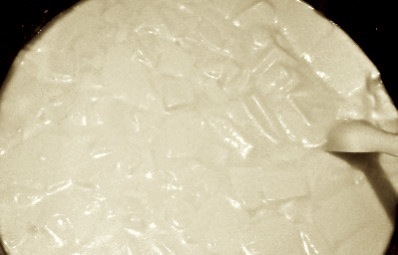 I’ve heard that it is customary for women in Italy to keep a bowl of ice water nearby. They dip their hands in it when the heat becomes too much to bear. It’s not such a bad idea, even when wearing gloves. Place milk in a non-reactive pot with a lid. 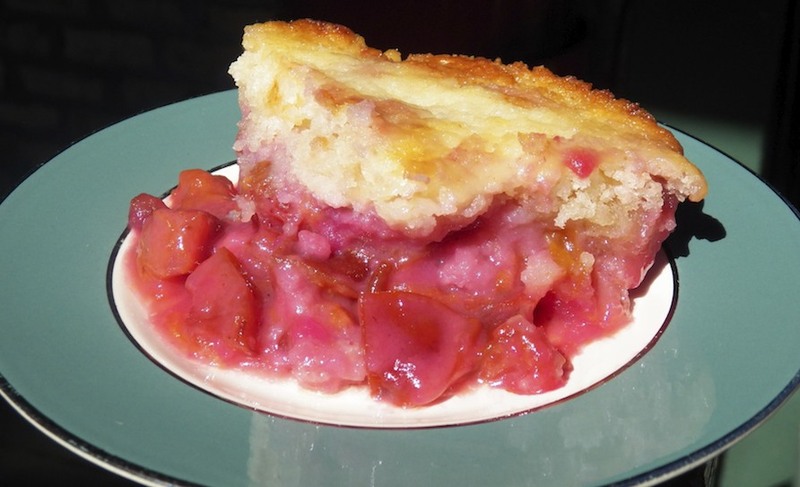 Gently heat the mixture until 88˚F (31˚C), stirring occasionally to prevent scalding on the pan’s bottom. Add diluted citric acid and mix well. 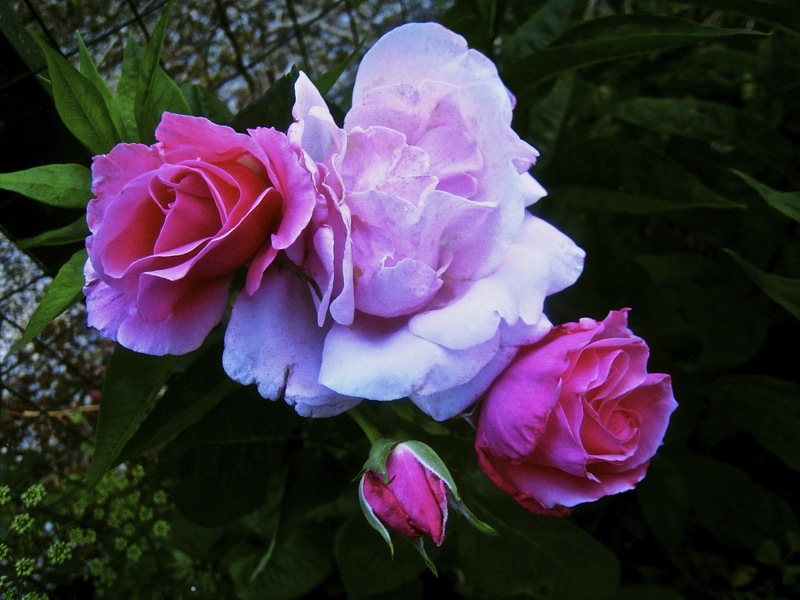 If using Lipase, add it now and mix thoroughly. Place pot where it will not be disturbed. Add dissolved rennet, stir thoroughly, and cover pot. Do not disturb for at least one hour. I wait two hours, if not a little more. 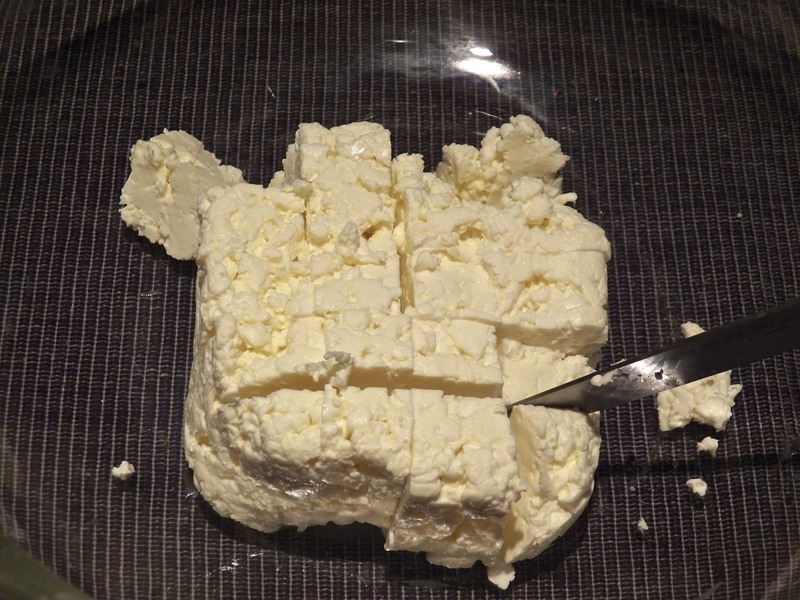 As was done when making feta cheese, check for a clean break and, when achieved, go to step 6. 5. If a clean break is not achieved, wait an hour and test again. Still bad? Wait another hour. Still bad? Nothing to be done but dump the dairy and start over. 6. 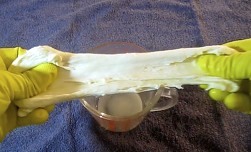 Use a long knife or offset spatula, and starting at one side of the pot, cut a straight line through the curd. Once the opposite side has been reached, create another slice about ½ in front of the previous cut. Repeat until the entire curd has been cut into horizontal slices. 7. Give the pot a quarter turn and, starting at one end of the pot, repeat the slicing process. 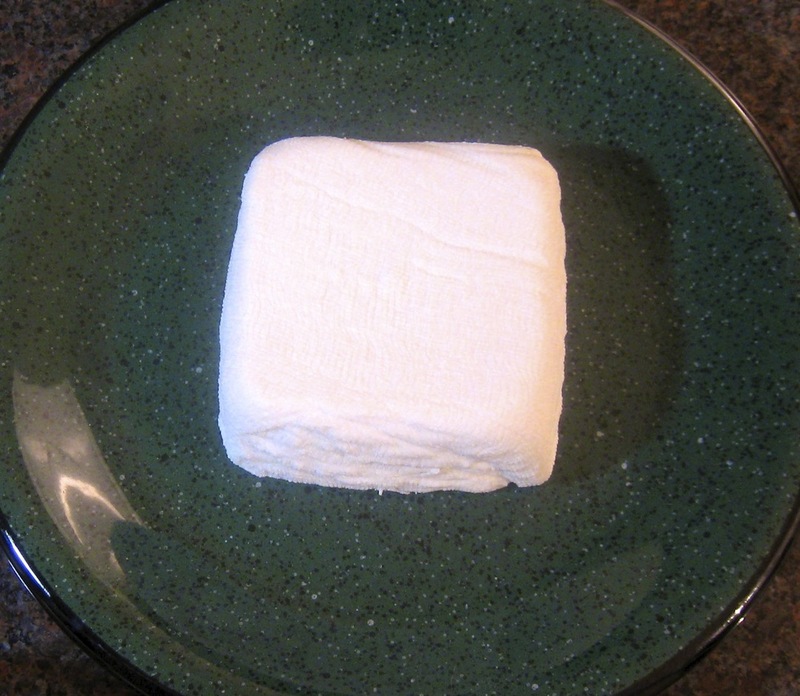 When finished, the curd should be cut into ½ inch squares. 8. Now take the knife or offset spatula and, with the blade on an angle, slice through the curds from side to side at ½ inch intervals. This will cut the curds beneath the surface. Repeat this step twice, turning the pot and cutting the curds on an angle each time. 9. 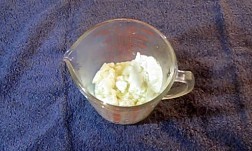 Gently stir the curds, cutting any that are larger than 1/2 inch. 10. 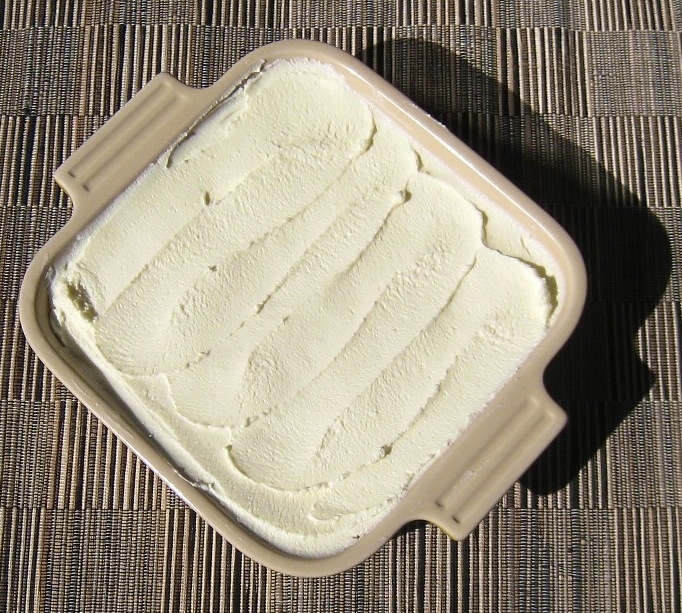 Return the pot to the stove and gently heat the curds and whey until they reach 108˚F (42˚C), stirring frequently to prevent sticking on the pan’s bottom. Maintain that temperature for 35 minutes, stirring the curds occasionally to keep them separated. 11. Gently pour the pot’s contents into a sieve, separating the curds while reserving the whey. Allow to drain for 15 minutes. Break apart any large clumps of curds. 12. Place curds into a large bowl, season with salt, and mix thoroughly. 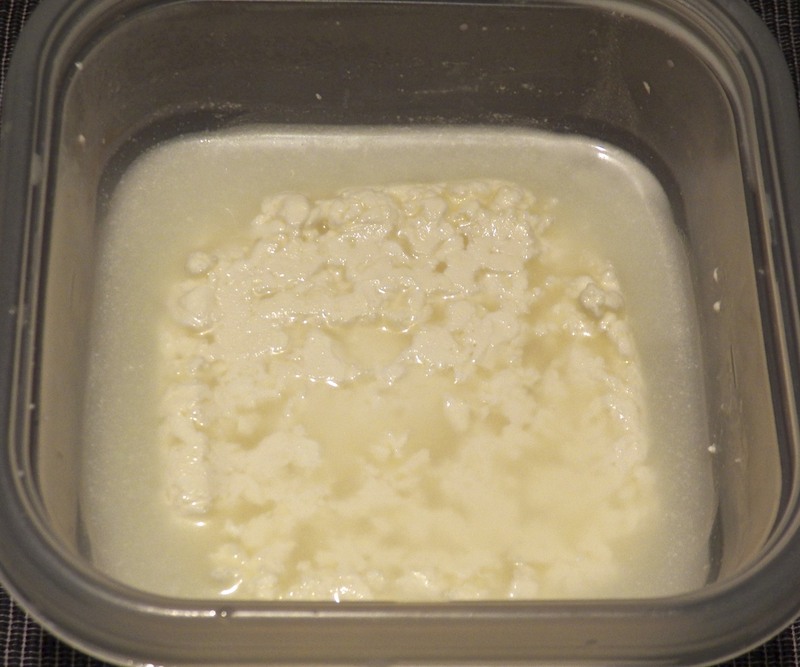 Place ⅓ of the salted curds in a 2 cup measure and microwave on high for 45 seconds. Curds straight from the microwave. 13. 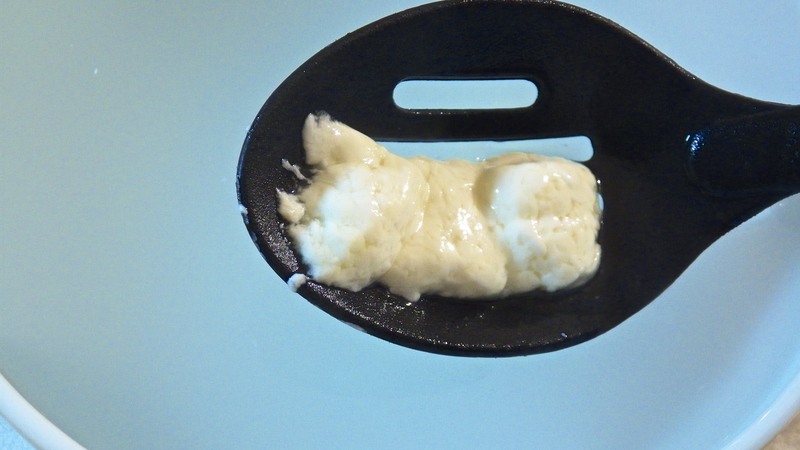 Use a spoon to combine the curds while distributing the heat, creating a single, large curd mass. 14. Once combined, remove but be careful. It’s hot. Note how dull it is. 15. Slowly stretch the curd like you would salt water taffy. If it breaks instead of stretching, re-heat the curd for another 15 seconds before trying again. 16. Fold in half onto itself. 17. Stretch it again. Continue to stretch & fold until the cheese is smooth and shines. 18. Form into a ball like you would bread dough for a dinner roll. Best if used right away. See Notes for storage tips. 1 gallon (3.67 L) of whole milk yields about 13 ounces (375 g) of mozzarella. 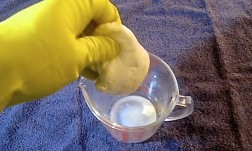 YouTube has a number of videos about making mozzarella. 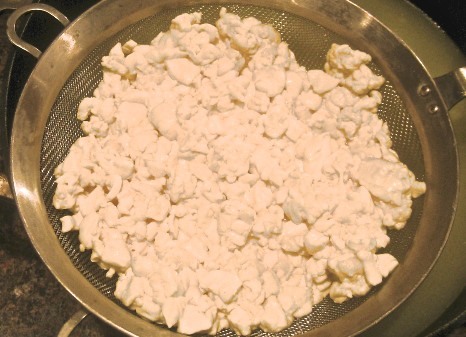 Often they begin with a cook pouring boiling water over curds that were either made or purchased off-camera. As you’ll learn in a few weeks, using boiling water to cook the curds is a part of the process when making Italian Mozzarella. Using a microwave, as indicated above, will work just fine for American Mozzarella. 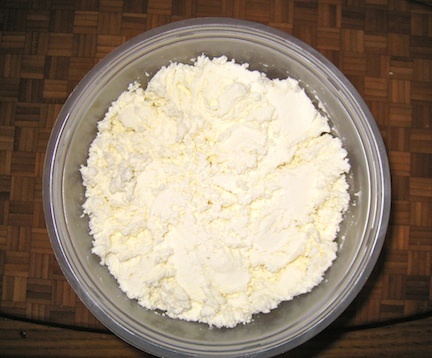 According to Dr. Fankhauser, the whey reserved from above may be used to make ricotta. 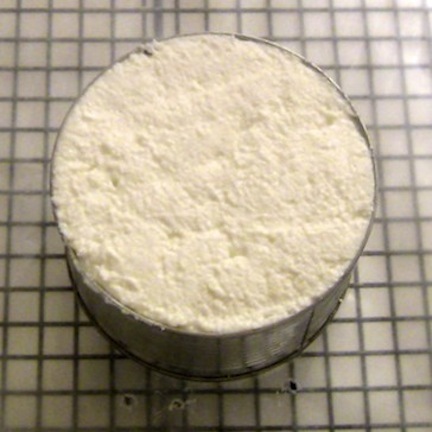 Similar to the traditional method of making ricotta, he directs that the whey be heated to 203˚F (95˚C), allowed to cool, and then filtered. 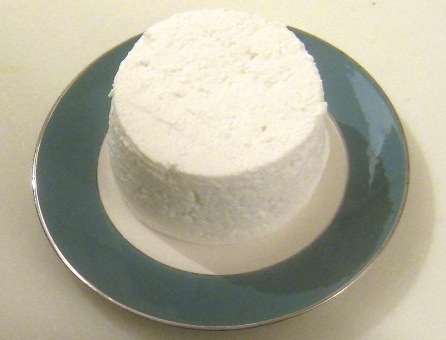 I have never gotten an appreciable amount of ricotta from whey resulting from making American Mozzarella. I don’t even try anymore and just use some of the whey to store my mozzarella. If I want to make ricotta, I follow this recipe. Mozzarella will remain good to eat for about 1 week but the sooner you use it, the better it will taste. 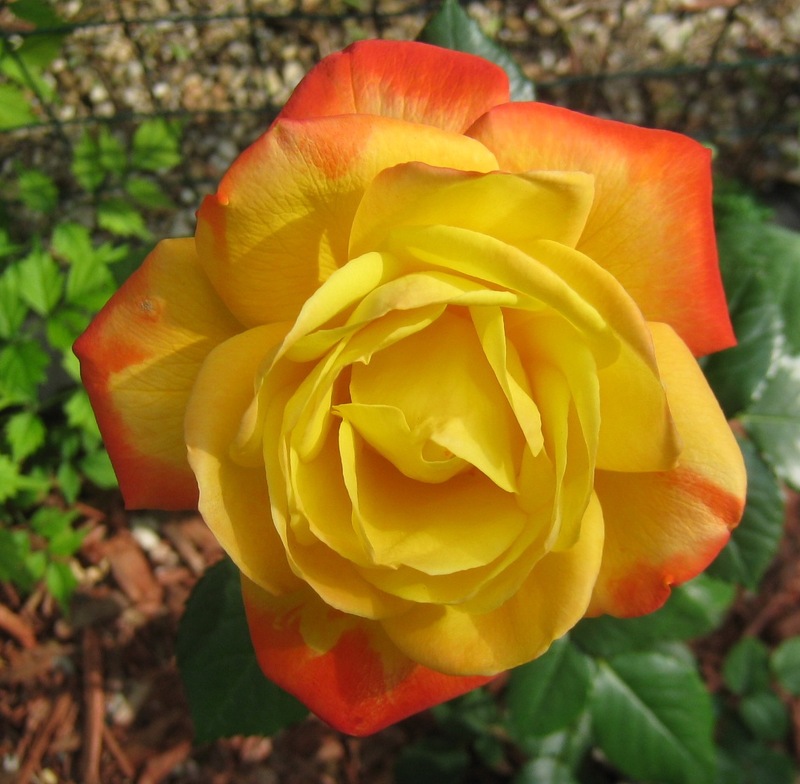 It is at its peak when it is still warm after being stretched. If it is not to be used immediately, tightly wrap it in plastic wrap and set aside until needed. Do not refrigerate. If you’re not going to use it that day, do not wrap it but place it in some reserved whey, covered, and then refrigerate it. Be aware that once it is chilled, the texture — the creaminess — will change because the milk fats will harden. 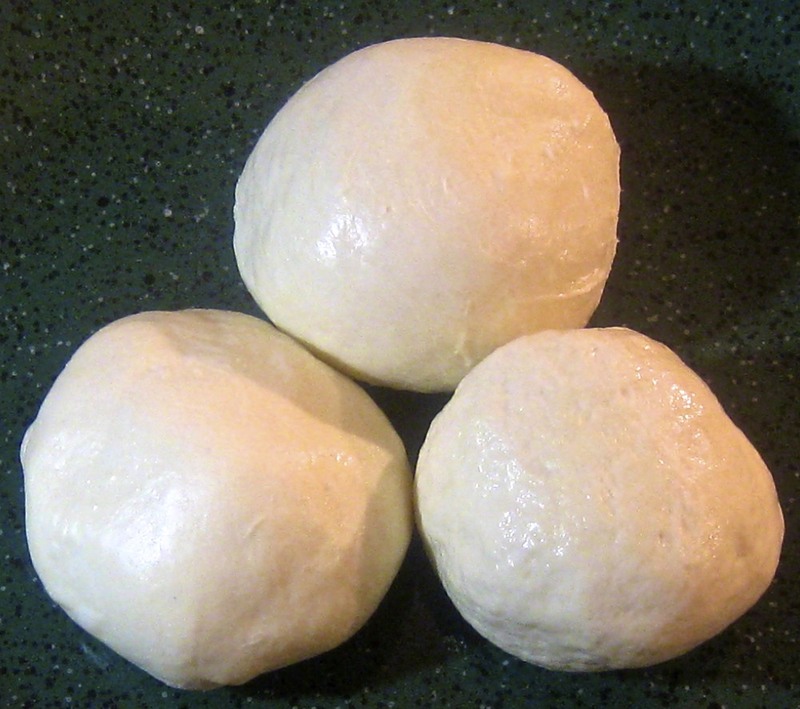 Restaurants will make mozzarella in the morning and whatever is left at the end of the day will be refrigerated and used in pizza the following day. American Mozzarella can be made in a couple of hours and, believe me, once you taste the difference between freshly made and mozzarella that you’ve chilled, you’ll want to use it all the same day you make it. Now, I have read where some store it coated in salt or in a bath of (sometimes flavored) olive oil. I’ve not tried either approach and, because of that, I won’t recommend them.